Support our Seabeck Subsidy Fund with the purchase of this 3 bag set (12”x8”, 12”x13”, 12’x16”) of machine washable mesh produce bags. Shipping and handling is $5 for any size order and can be combined with purchase of bamboo utensils. 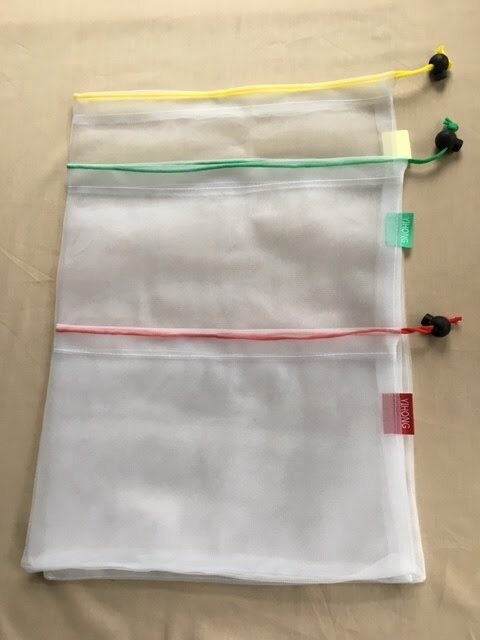 Support our Seabeck Subsidy Fund with the purchase of this 3 bag set (12”x8”, 12”x13”, 12’x16”) of machine washable mesh produce bags to use instead of the thin throwaway plastic bags we collect from the supermarkets.